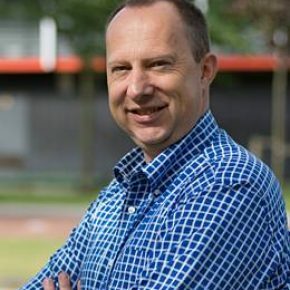 Rini van Solingen is a part-time full professor in Global Software Engineering at the Delft University of Technology, where he heads the research and education regarding worldwide-distributed software teams. Additionally, Rini is the CTO of Prowareness. There he helps organizations work nimbly and deliver high-value software products. Leadership of large scale Agile transformations and implementing Agile with tens or hundreds of teams is his specialty. In that arena, he trains and supports (management) teams. In 2010, Rini wrote the bestseller “The Power of Scrum” (along with Eelco Rustenburg), in which he explains Scrum in narrative form. In 2014 he wrote “Scrum for Managers” (together with Rob van Lanen), to assist in helping managers to direct teams in an Agile framework. In 2016 het released “How to lead self-managing teams – A business novel on changing leadership from sheepherding to beekeeping”, and “The Responsive Enterprise” (with Vikram Kapoor). All books have also been published in German and English.